The IT help desk of the future, driven by the cloud, is moving from a reactive service that responds to customer requests to a proactive service that helps customers solve problems on their own. A cloud-based IT help desk also broadens this horizon by no longer assuming that the only repository for wisdom is inside the corporate firewall. 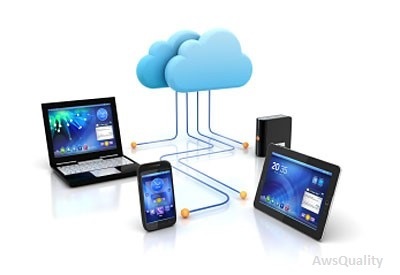 Cloud-based IT help desks will also become gateways for social media services such as Salesforce Chatter. Social media can change the relationship between IT help desk personnel and their customers by providing a familiar way for people to interact. Social media also helps foster collaboration through specialized user communities within a company. In the IT help desk of the future, accounting department staffers will be able to filter out developer applications, and R&D developers won’t have to view the status of accounting apps. Such customization is particularly easy in a cloud environment. As more applications reside in the cloud, the help desk portal—itself a cloud-based application—becomes the principal connection between customers and IT. Conversely, as more IT help desks reside in the cloud, this fast-filtering capability will encourage IT to license and build more cloud-based applications. A cloud-based IT help desk can deliver faster ROI through streamlined installation and management plus lower infrastructure costs. A cloud-based application also requires less hardware and software infrastructure, so it costs less. The research firm IDC studied 10 companies that used Force.com to develop custom cloud-based applications. The ROI analysis found that on average, these companies realized $1 million in annual savings due to decreased staff hours spent in application management and deployment. The cloud provides enterprise-class backup, security, and disaster recovery, but without the usual enterprise cost. Cloud applications are usually licensed on a pay-as-you go basis, with per-seat costs that are commensurate with a company’s growth. With this subscription model, up-front costs are typically lower—a prime concern for businesses today.